I recently had a work challenge to make some kind of recipe that incorporated bacon. 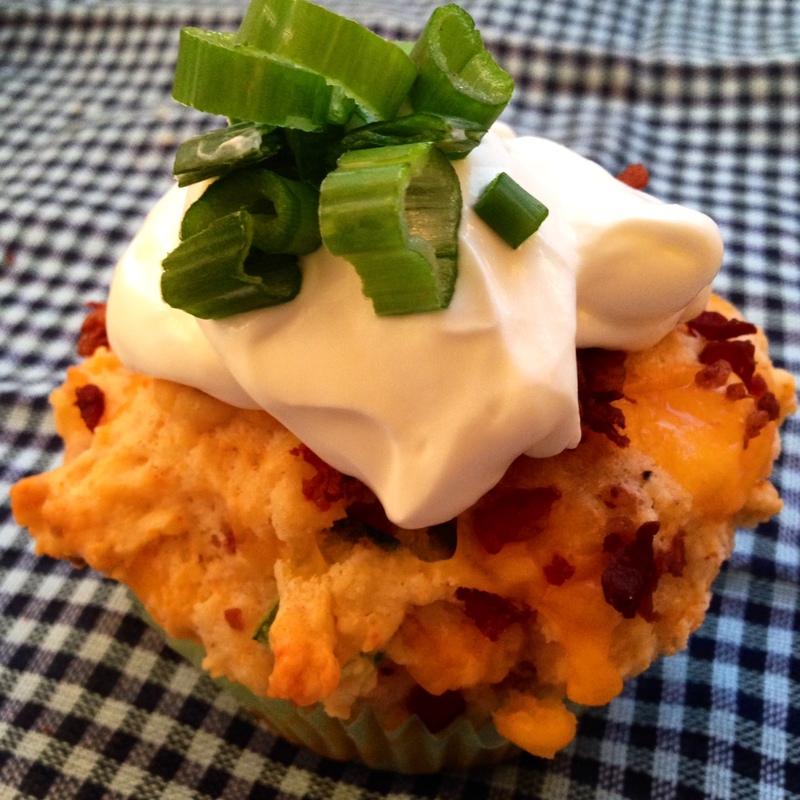 With my love for baking, I decided to try baking my first savory Cheddar Muffin and include Bacon Bits into the mix. I found a Cheddar Muffin recipe on Chatelaine website, but tweaked a couple things in the recipe to enhance the eating experience. I wanted to add a bit more of a kick to the muffins so I included some paprika and wanted to make the recipe easier to bake so I used bacon bits instead of cooking bacon from scratch. I also topped off the muffins with a dollop of sour cream and some sliced green onions to improve the presentation and compliment the slight paprika/pepper kick! 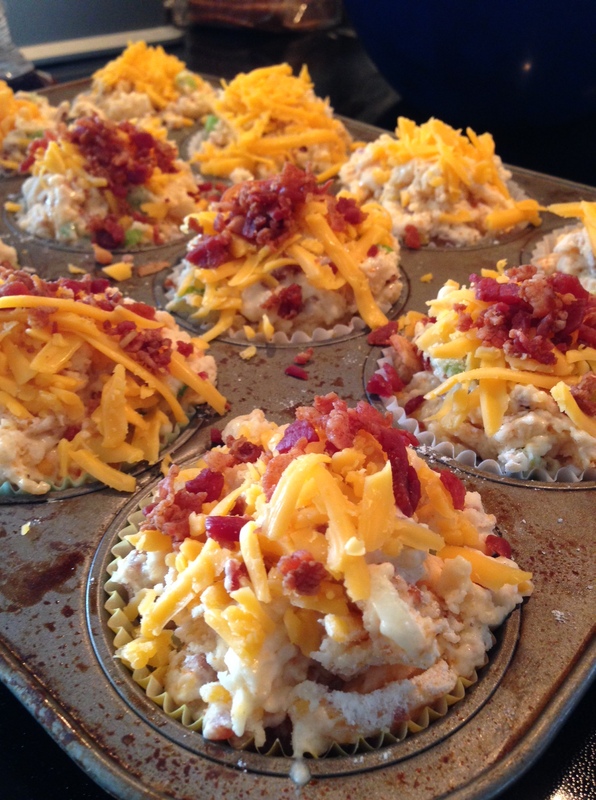 I found this recipe was simple/fun to prepare and it easily produced 12 large muffins. The presentation and taste was by far one of my favourite things I’ve baked so far! COMBINE: In large bowl, whisk together flour, sugar, baking powder, pepper, paprika and salt ; stir in as many bacon bits and 1 cup of shredded old cheddar. WHISK: together milk, oil, onions, sour cream and eggs; pour over dry ingredients. Stir together just until moistened. 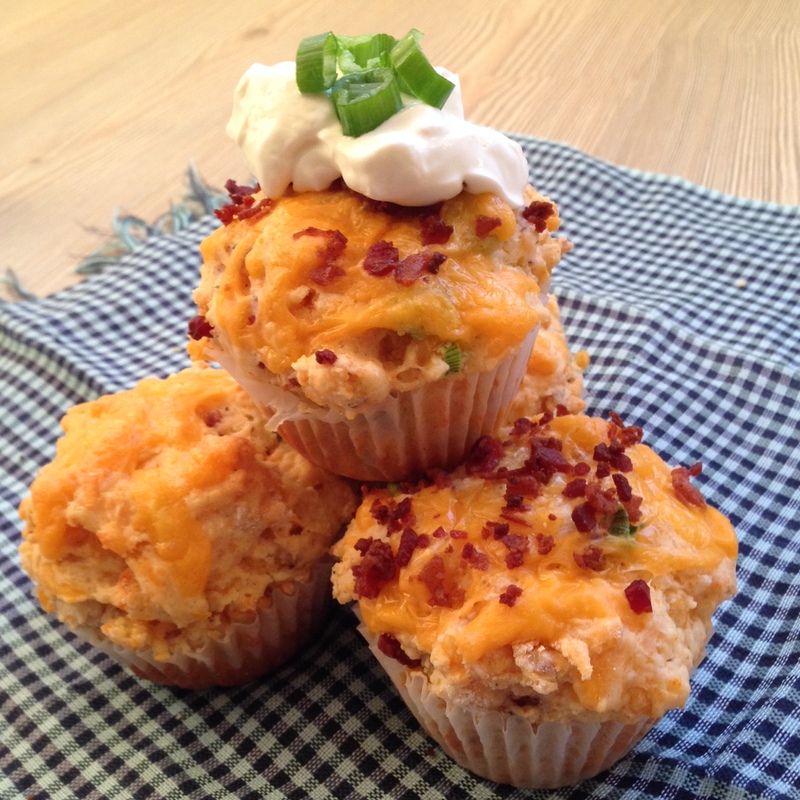 SPOON: into greased or paper-lined muffin cups; sprinkle bacon bits and grated cheddar on top. BAKE: for 20 to 25 minutes or until tops are firm to the touch and muffins are golden. TOPPINGS: add on a dollop of sour cream and sliced green onions to the top of the muffins for added savoury flavour and presentation! *If the muffins are stored for future eats – make sure to rewarm before serving. 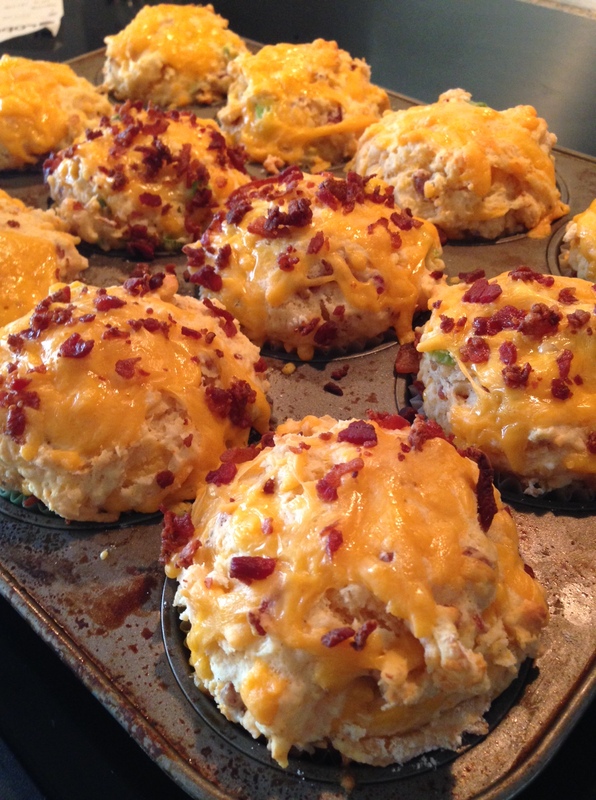 Posted in Baking, MuffinsTagged bacon, Bacon Bits, baking, breakfast, cheddar, cheese, food, homemade, muffins, recipes, savory, yummyBookmark the permalink. Your muffins look so tasty! I will be adding these to my baking list.